Teddy Thompson & Kelly Jones On World Cafe : World Cafe The duo sings exquisite homages to late-'50s and early-'60s pop. Hear the conversation and performance. Teddy Thompson & Kelly Jones. 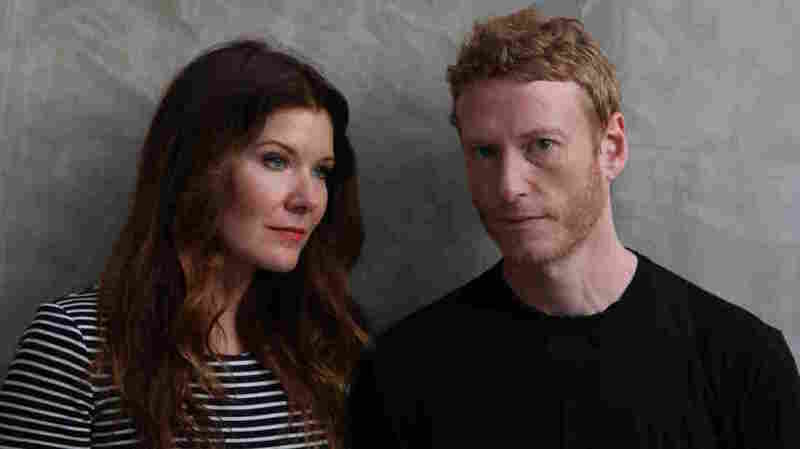 "Never Knew You Loved Me Too"
"You Can't Call Me Baby"
"I Thought That We Said Goodbye"
As soon as Los Angeles singer Kelly Jones heard Teddy Thompson's voice on the radio, she vowed that she would one day sing with him. That vow came to fruition on their new album, Little Windows. Thompson, the son of British folk royalty Linda and Richard Thompson, has always had an affinity for American country of bygone eras. On Little Windows, he and Jones, with songwriter Bill DeMain, produce near-perfect evocations of late-'50s and early-'60s pop — witty, smart writing sung exquisitely. Hear the conversation and performance in the audio above.